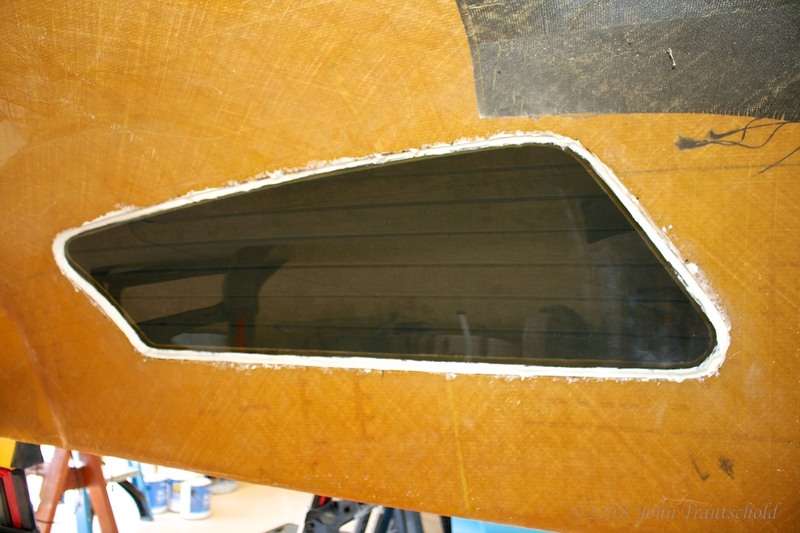 Installing the windows in the upper fuselage involves making some really big cuts. Luckily the factory pre-marks these cuts. Still, there’s really no room for error here since ordering a new fuselage is not only time consuming but really expensive too! The trick is to use a really high-quality saber saw. I used a relatively new Makita saw I bought a few years ago and couldn’t be happier with it. All three window opening have been cut in this photo. The doors also get windows and those will be installed later in the process. 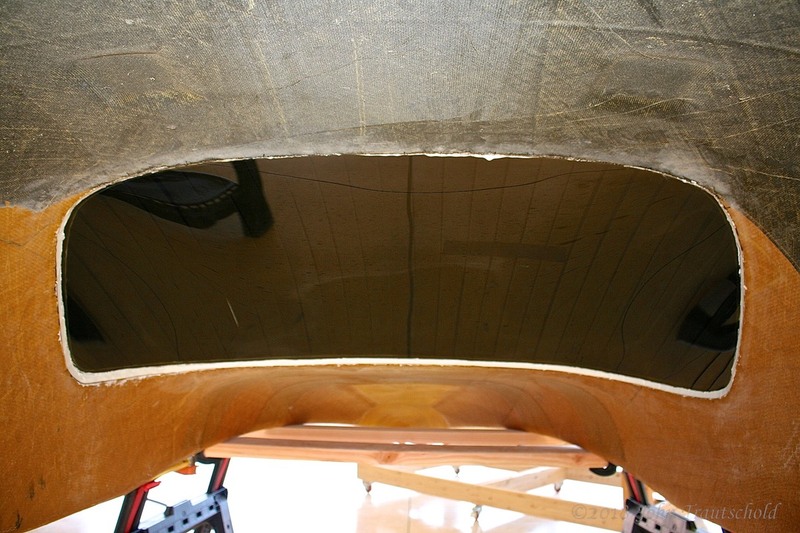 The manual groups the installation of the windows and doors into the same chapter, but in order to do the doors, the upper and lower fuselage halves need to be joined together. 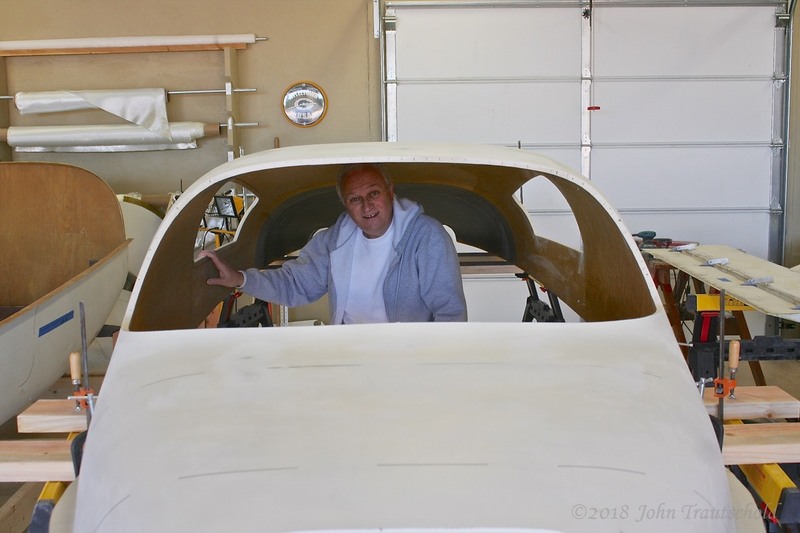 But before they can be joined, there’s just a ton of work that needs to be finished on the lower fuselage, so the door installation comes much later in the process. The window openings are now awaiting the installation of the windows! Here I am, playing pilot! Well, actually I'm getting ready to prep the inside for the window installation. The windows themselves come pre-formed from the factory. Thank goodness because the shapes are fairly complex. They also make the windows over-sized which means that I need to trim them to size. Here again, that’s a bit of a stressful job since, 1) I don’t want to scratch the windows, and 2) if I make a mistake there’s no way to fix the problem apart from ordering a new window! 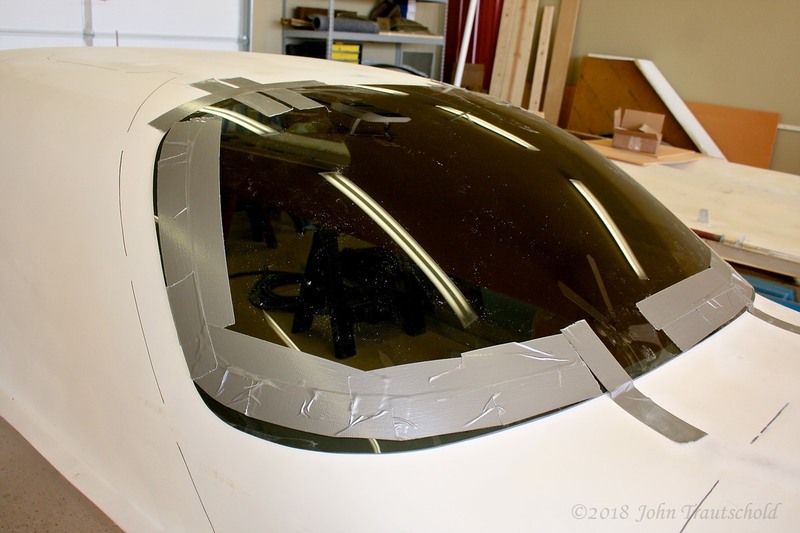 The next photo shows me using some duct tape to both protect and mark the cut lines for the windows. While I could have used the saber saw to trim the windows, I found it easier to use my cut off wheel here. And I never realized how messy it was trimming plexiglass! The windows come out of the factory oversized and need to be trimmed to fit. All of the windows are now epoxied into place. I couldn’t believe how long it took to get all of these windows trimmed to the right size for installation. I must have messed around with that for hours! Also, the pilot’s side rear window actually came up a bit short from the factory. It fit, but I didn’t need to trim the upper or lower parts at all. Here's an inside view of the installed windshield. The goop around the edges hasn't been sanded yet in this photo. Here's an inside view of the pilot-side side window. Again, the goop around the edges still needs to be sanded. As mentioned previously, based on the sequence in the book, the next step is to merge the upper and lower fuselage halves together and build the doors. 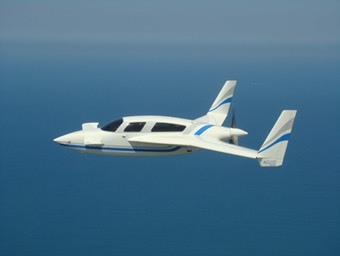 But that’s not going to happen anytime soon since I have a lot of work to do first on the lower fuselage. And that process starts in Section 6.1.0! 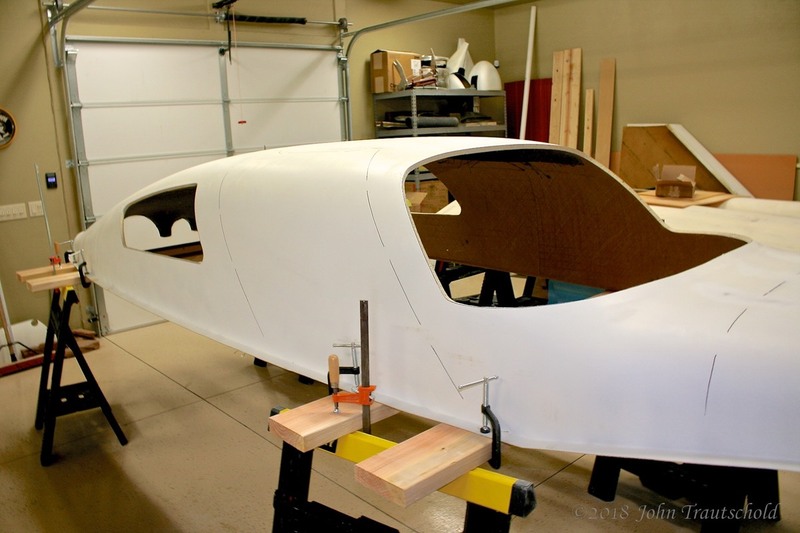 Once all of the mechanical work is done in the lower fuselage it is time to put the top on. Click here to see that process!